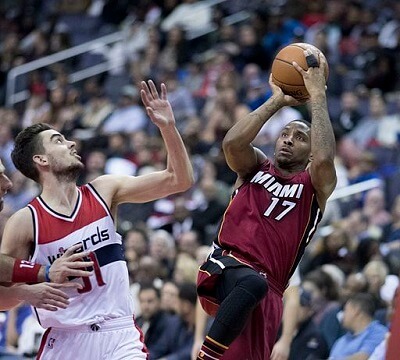 Get notified when Miami Heat tickets are available! A part of the Southeast Division of the Eastern Conference of the NBA, the Miami Heat has been taking to the court since 1988. The team has won multiple NBA championships and many conference and division titles and is considered one of the most valuable teams in the league. The Miami Heat play home games on the court at American Airlines Arena, which is located in downtown Miami with a picturesque view of the Biscayne Bay. During games, there are 19,600 seats available, and you can be sitting in one of them! Just find a game from the list above and buy your Miami Heat tickets online.